There are something like a billion blogs out there on the Internet. Or maybe there are more blogs than there are people. I don’t know, but in any case there are a lot. Is it really worth adding your voice to the mix? I will say straight out that starting a personal adventure blog has been one of the most transformative and important things I’ve done, and I’m here to advocate that you, yes you, start your very own adventure blog and add your voice and perspective to this big bad cacophony of information that we call the Internet. Let’s define adventure first. Adventure is a word that can be overused, but I don’t mean to use adventure here to refer solely to extreme outdoor activities. Adventure to me is relative, and is simply pushing yourself a little beyond your comfort zone. Adventure is different to everyone. Sharing your adventures is beneficial to yourself and those may stumble across your blog. Maybe your adventure is launching a new entrepreneurial activity, conquering debt and taking control of your finances, or yeah maybe it is something in the more traditional world of adventure but within your own parameters and not trying to be the first (insert hyper specific demographic) to reach the top of Everest or the South Pole. 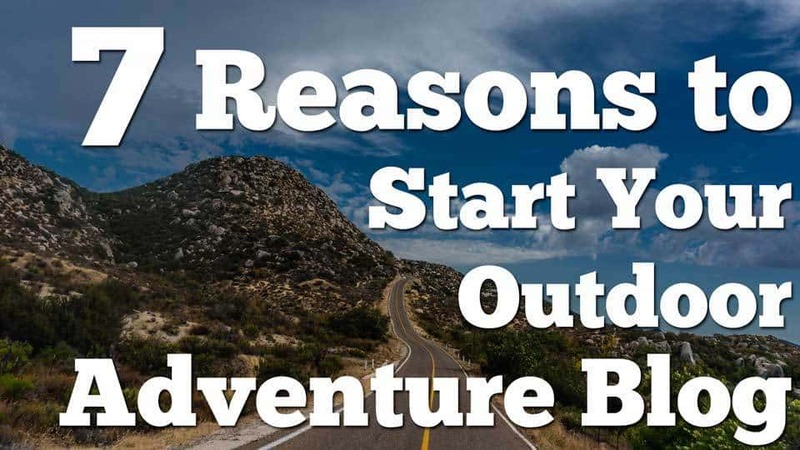 So why should you start your own adventure blog? First of all, starting a blog is not hard. Second of all, there are a myriad of rewards that come from blogging, some of which I was aware of but others were totally unexpected. So I was immediately faced with the prospect that I could finally do what I’d been longing to do. Of course, saying you want to do something and actually doing it are two very different things for most of us. I knew that I *wanted* to do it, but how could I really ensure that I wouldn’t back out on my wishes, take the easy route, and just find another related job that pays decent money? Enter the blog. I knew that if I committed so fully as to buy a domain and hosting and put my plans out there on the Internet for all to see (and by all I really just mean my Facebook friends in those first months—thanks guys!) that I would be embarking on this year-long journey to explore the great outdoors, that I would be much less likely to back out and let myself down. Tell yourself in your head that you’re going to do something. Physically write down that thing you’re going to do, and better yet: put it somewhere you’ll see to keep you on track. Tell a few trusted friends and family what you’re going to do. Tell the world and any strangers who happen to stumble across you and your ideas. Starting a blog hits on all four points of commitment and will at least ensure that you are going to really give it a shot. It doesn’t really matter what it is that you want to accomplish, whether it is to stop smoking or to climb Mount Rainier. Use the power of social pressure to hold you accountable. Blogging is a great method to achieve the desired result (but of course isn’t the only method). Going hand-in-hand with putting it out there publicly you will also become much clearer on your own thoughts and goals. If you don’t really know what you want to accomplish and you are just coasting through life, then well it’s pretty hard to get where you want to go. If you don’t know what you want to do, you can’t really expect to get there. Putting down your words on paper (even digital paper) will cause a great deal of reflection and clarification of your thought process, help you realize what is truly important, what you want, and actually help you get there. Your goals are like the destination of a GPS, if you don’t tell it where you want to go, it can’t really help you get there. It can only show you where you are. Another amazing part of the written word of a blog is that you will have created a digital record of your personal journey which you can occasionally go back and revisit. I’ve never been a person that has kept a journal. I’ve tried but have failed to keep up with it for any length of time. But here’s the thing: I know there is a lot of value in doing it. Now, again due to the public commitment factor and wanting to keep the site updated every once in a while, I am compelled to produce new articles and content. It can be quite eye opening to read back through old content and see where you were as a writer, where you were in your world outlook (it can change to a surprising degree), and even where you were in terms of your personal adventures. I don’t live in the past, but it can really help you realize just how far you have come by revisiting that old content—just like my very first post written specifically for this blog. As your website begins to grow you’ll begin connecting with people who hold similar interests, either thanks to incoming Google search traffic or as you increase your network through social media. They say that we are the average of the five people we spend the most time with. Now I certainly don’t advocate replacing all your real friends exclusively for these digital ones, but it can be an incredible boost as you begin connecting with more like-minded folks. When I set out after leaving the 9-5 it was a somewhat scary experience. Your friends and family often convince you you’re making a terrible mistake. Just because you don’t know someone who has done what you want to do, doesn’t mean that others out there aren’t already doing it, and thanks to the Internet you realize that you aren’t really out there all alone. 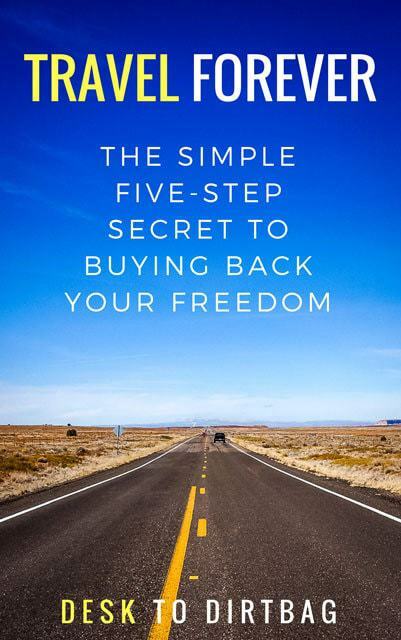 I quickly found others online like Katie Boué of the Morning Fresh who was about to set off on her own year-long climbing road trip, Gina Bégin who has been making it work from the road for a few years, and a number of other inspiring folks. There are all sorts of people embarking on similar adventures… It doesn’t really matter what type of adventures you’re setting out on, there are others out there who share your passions and can relate to your perspective. There are others who are bicycling across America, driving through Central and South America, those who advocate for #VanLife, those within the Tiny Home movement, those on long-term climbing trips, those who are venturing around Thailand. There is something for everyone. There is truly a niche for absolutely everything thanks to the power of the Internet. Find your community, your support network, and run with it. They will help open your eyes to new adventures, push you beyond your comfort zone, and keep you moving forward. One of the coolest things as you start to build a community—and you will find and start to build a community as you put yourself out there (that’s one of the most amazing things about the Internet)—is that the community begins to help you out in unexpected ways. When I set out on that first year long road trip, I directly solicited ideas from the community and was helped immensely with feedback about where I should go, what I should do, and what I should avoid. This ranged from general advice or parks to visit down to specific restaurants or trails that I shouldn’t miss. I was basically able to crowdsource aspects of my trip without needing to do massive research beforehand. It goes beyond places to visit, to include specific gear you may need, ways to grow your blog and your tribe, and much more. You contribute to the community, absorb what the community offers, and everyone kind of feeds off of each other to move forward. 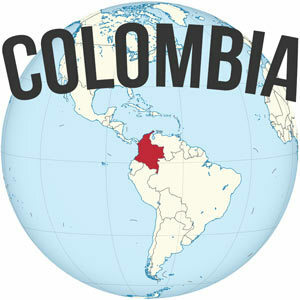 A great example of this is the overland community who are driving across the Americas or other parts of the world. Those who are a little further ahead down the road (literally) provide the resources, info, recommendations, and impetus for others to follow in their footsteps. If they can do it, so can we. Everyone is social and interacting with others, even though they may not have actually crossed paths in real life. In turn, those who set out behind the trailblazers add to the wealth of information and resources and encourage the next wave—with that are born new resources like ioverlander.com where you can find campsites, mechanics, and other recommendations all over the world. If it wasn’t for starting my blog, I probably wouldn’t have connected with folks like Wilderness Dave and Val in Real Life as I first set out on the road and who introduced me to the amazing Overland Expo (an annual event for long-term road trippers). I had never even heard the word “overlanding” before they mentioned it, despite the fact that that’s exactly what I was doing when I set out in 2013. In turn, I was introduced to a whole new world where people drive their vehicles across entire continents… I left the event dreaming about future travels and connecting with other inspiring overlanders like Anthony Sicola from OverlandNomads.com and the folks from Life Remotely who drove to Patagonia from Seattle. The seed was planted and here I am driving through Mexico now. I would have never imagined doing this three years ago. That is a testament to the true power of finding your community. We’ve hit on a number of amazing benefits that come from starting a blog and staking out your little piece of real estate on the Internet, and so far we haven’t mentioned anything about one of the benefits that many would love to have… Like money. First of all, don’t start a blog to make money. That’s just silly, and you’ll probably never make significant money from a blog. You should start a blog for the other reasons mentioned in this article, but this one is the one that many people dream about… So let’s talk about it realistically. Yes, you can make or save a little money thanks to your blog. It takes time to achieve either, but I will say it is a nice fringe benefit of starting a blog (and not the primary reason). As you start your blog, you can include relevant affiliate links as you post articles. Affiliate links are simply links to something someone is selling. If someone reads your article, clicks through, and subsequently buys, you receive a small commission. Some bloggers are afraid to do this, make a big deal out of it and hold off for a while because they don’t want to offend their audience. Down the road they then decide to start implementing them and now it actually IS a much bigger deal. It costs a little bit of money to purchase the domain and hosting for your website, let alone all the time and effort you’ll expend sharing information freely and openly. It isn’t wrong to want to make a little money back and cover expenses. I started including an affiliate link or two when relevant from the beginning with the rationale that I wanted to try and reduce my blogging expenses. I would encourage you to start from the beginning as well, don’t make it a big deal and hold off. Here’s the thing, if you are helping people by posting information or resources to the answers that they are looking for (that’s how they stumbled across your website via Google in the first place) then you shouldn’t feel bad about getting paid a little bit for helping them out. It costs them nothing extra and you’ve helped them make the decision. The problem with affiliate marketing becomes when people start selling things that they don’t actually use or don’t even like. Here’s how to do it right: I posted an article about how to make coffee while camping, as a how-to and review of the Aeropress coffee maker. This is a device that has fundamentally changed how I made coffee while camping and I love it. I share how I make coffee and why I think it is superior to other methods (simply justifying my own rationale of why I spent money on this product instead of another). People either are in agreement or not. Some go on to purchase it, and I receive a small commission thanks to Amazon.com. Here’s the best part: I actually get people who email me THANKING ME for recommending the Aeropress coffee maker. I helped solve their problem or pain point—which is exactly what I was trying to do myself when I purchased it. That right there is ethical affiliate marketing. You want people to thank you for helping them and pointing them in the right direction. That’s it. Going hand in hand with making a little bit of money with your blog is the prospect of saving money. Many bloggers receive all sorts of freebies thanks to their sites, social media, and their “reach” or “influence”. 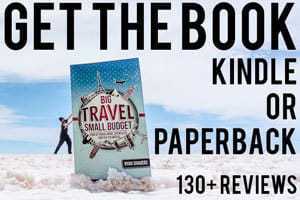 We are talking from free gear which the company provides with the expectation of a review to free travel and trips as part of a brand promotion like with Columbia Sportwear’s #OmniTen. This is what’s often known as native advertising. This can be a slippery slope and is not something that I have done much of, but it is certainly a fringe benefit for many bloggers and can provide a little prestige when you become a brand ambassador (read more about what that entails). Again, most companies want promotion of their product—which is why they are giving you gear or inviting you on trips. In some cases, such as a major gear review website, it would make no financial sense for them to buy products to review, and thus some, like the Gear Junkie, will ONLY review products that they receive for free. Therefore they maintain a level playing field in all their reviews. Some websites will then in turn give away all their review gear to the readers after an initial review period so that they don’t have a direct financial benefit from the gear (though they obviously receive other fringe benefits). It is up to each individual blogger to engage with brands responsibly, ethically, while maintaining the trust of their readers. Starting a blog is starting your own brand—you do not want to damage your reputation by promoting inferior products or working with brands that will damage the one you are working so hard to build. At the very least, you should be disclosing when you have a vested interest in a product or brand either due to affiliate marketing or compensation in free gear or trips. This is one of the very best reasons to start a blog, I feel. You are going to learn a lot about so many different things from writing, social media, graphic design, web design, WordPress, SEO, salesmanship and marketing, and any number of related subjects like video editing, Internet marketing, affiliate promotion, networking, photography and beyond. Basically every single blogger starts out by bootstrapping all of these things and they are therefore forced into learning at least a little bit about everything if they want to see any measure of “success”. Even if you don’t know what half of those things are on that list, here’s the thing: you’ll come to figure it out. Little by little, day after day, month after month. It can be extremely difficult for an outsider to wrap their head around everything all at once. I certainly didn’t start out with knowledge of most of these things. I had never used WordPress, I had never bought a domain name, the list goes on and on. Every single one of those points above is something that you could later turn into a freelance opportunity. Something that many people fail to realize is that you don’t need to be the “World’s Best” WordPress-er (I made that up) in order to charge someone else for your time and help. You only need to be better than them at WordPress or simply be able to take something off their otherwise busy plate. 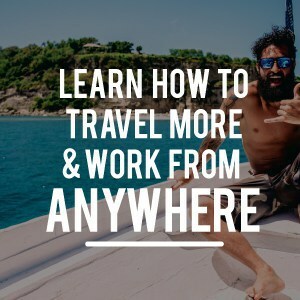 A year down the road, or even just a few months, you’ve got the skills under your belt to start working with clients, whether they be local businesses, a friend of a friend, or by pounding the pavement on sites like UpWork. Freelancing is absolutely one of the best ways to break out of the chains of the 9-5 and find that freedom that pretty much everybody seems to be looking for. Again, we come back to people and relationships. One of the best feelings that can come from your writing, in my experience, is knowing that you’re helping people. It is always great to get a quick and sincere “Thank You!” from a reader. It can be for a relatively mundane thing like providing great detailed info about Backpacking Virginia’s Triple Crown to thanks for the recommendation about the Aeropress, or it can be something on a much deeper level like when people write to thank me for inspiring them, even just a little bit, to take that risk to leave their job, travel, and make ends meet by freelancing. Just like those that inspired me to make the leap (I’m looking at you, Chris Guillebeau, Sean Ogle, Tyler Tervooren, Steve Kamb, and so many others), I am now doing the same (albeit on a MUCH smaller level) to a new wave of risk taskers and 9-5 shakers. That’s the GREATEST kind of feeling. My last reason for why you should start a blog is also a tip for how you can find “success” (to whatever degree you want to define it), which is just help people. In every single post you write, think about “how is this helping someone?” Again, it needn’t be transcendental or profound. We all use the Internet every single day looking for answers. Whether it is how to change the oil in your car, how to make an amazing lasagna, or how to become a better writer. Help people and they’ll help you in the process. 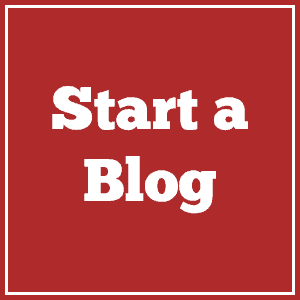 Have you started a blog? What are your best reasons to start a blog? Do you find that those little fringe benefits far outweigh the many, many hours of working for free? What does it take to make a blog stand out these days? Sound off in the comments below. 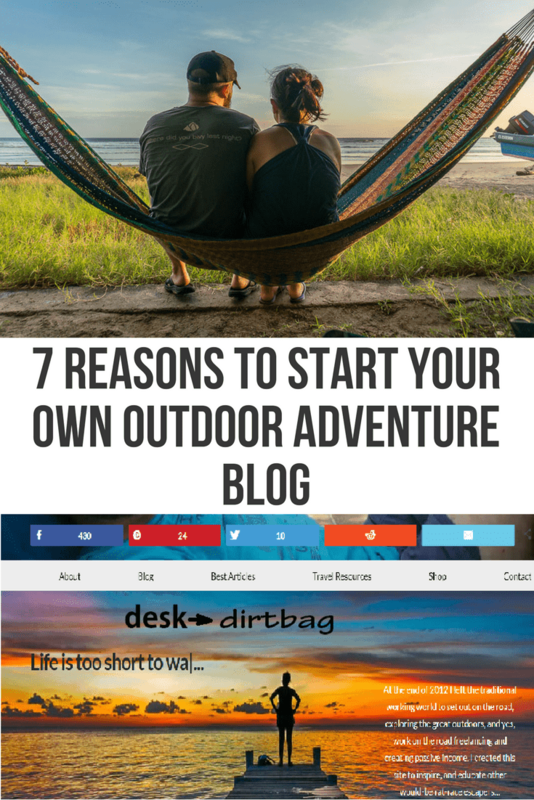 Love your points on why you need to start an outdoor blog.. I actually started mine in the Sports & outdoors niche and I hope it will do well in the market. You should also do an article on the top outdoor blogs, it would be really helpful. Thanks! Sounds like you’ve got a solid niche, but it’s always an uphill struggle to get your site in front of the right eyeballs. Hope it does well for you. Sounds like a great idea for an article, I’ll have to add that to my writing ideas list, thanks! I loved reading this. It definitely confirmed my ideas and goals for my blog. I am new to the world of adventure blogging and am learning so much! I only wish I would have started sooner. Can’t wait to hear part 2!